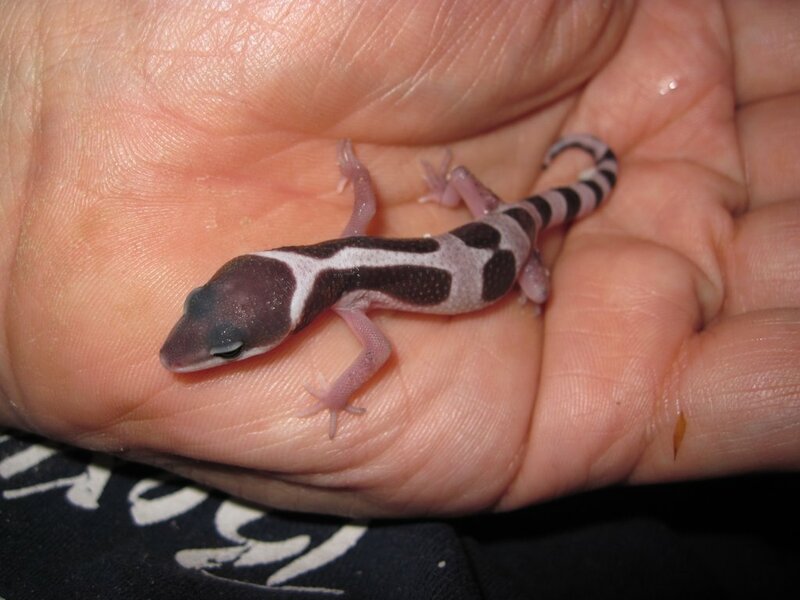 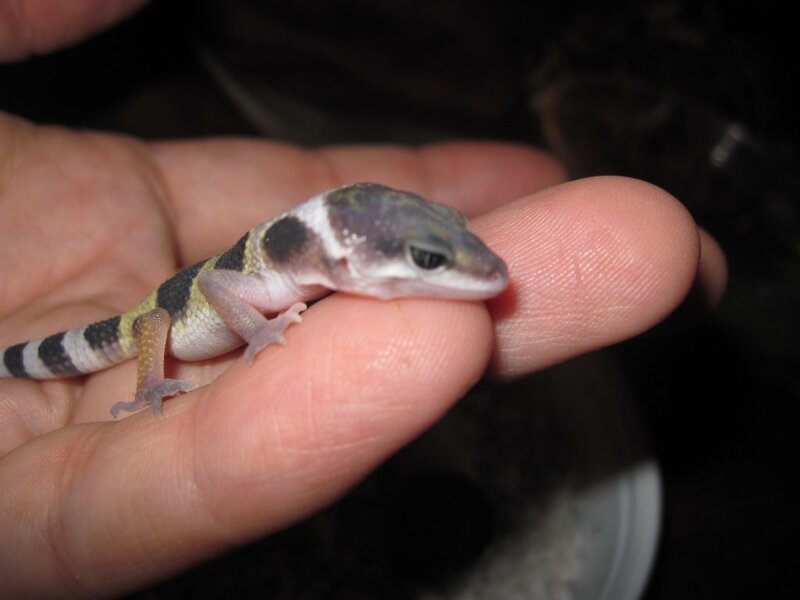 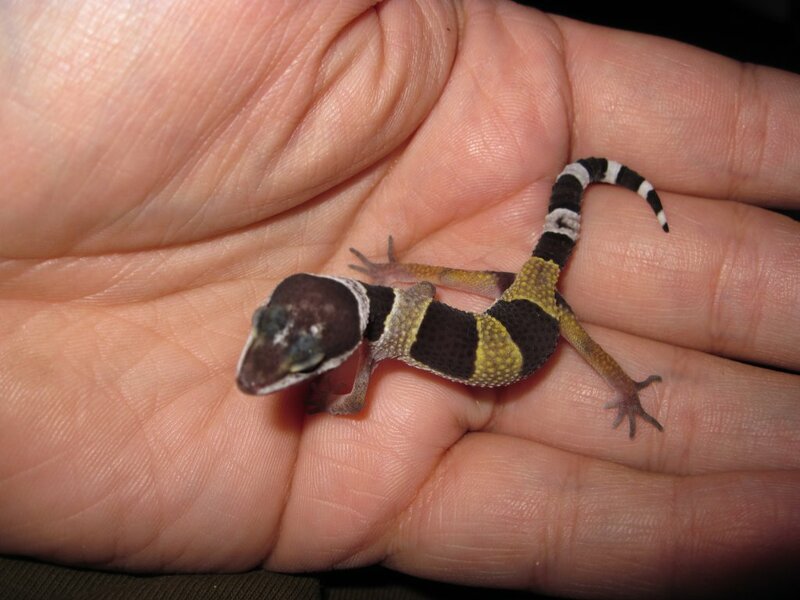 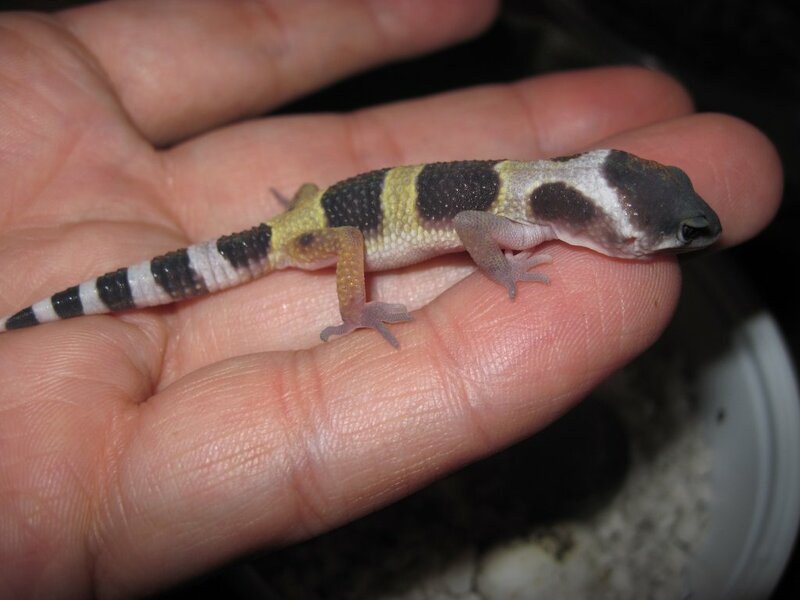 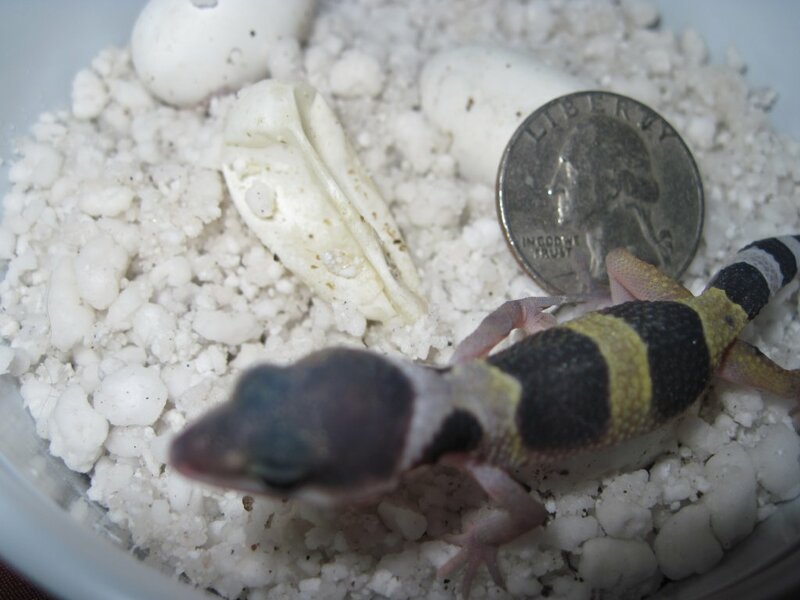 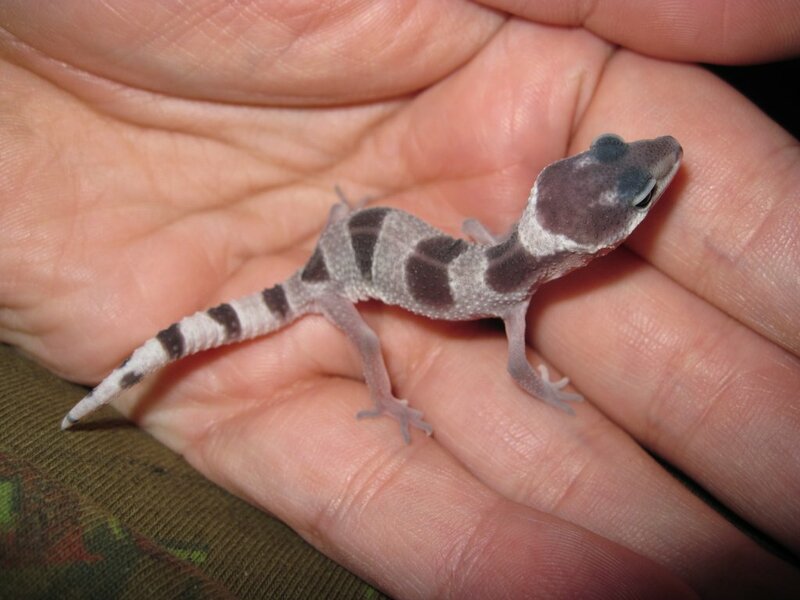 We just hatched out our first gecko last night 9-5-2009!!! 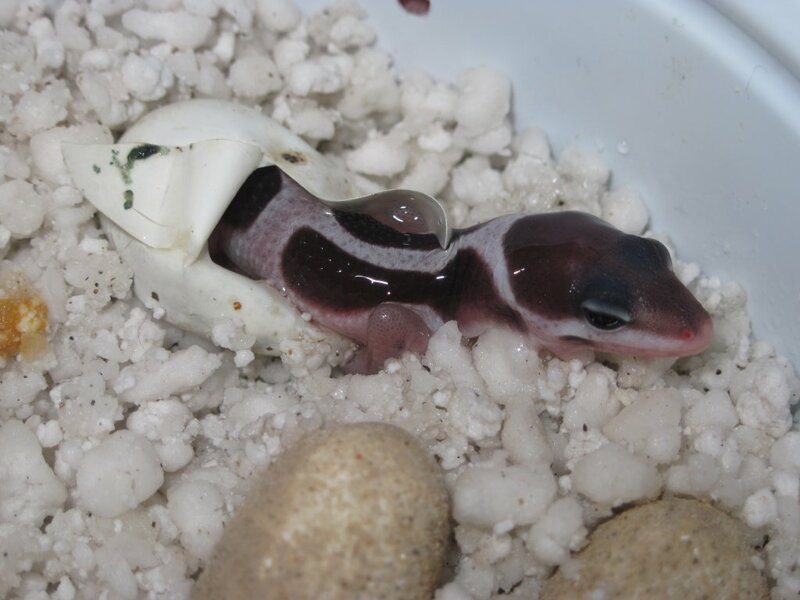 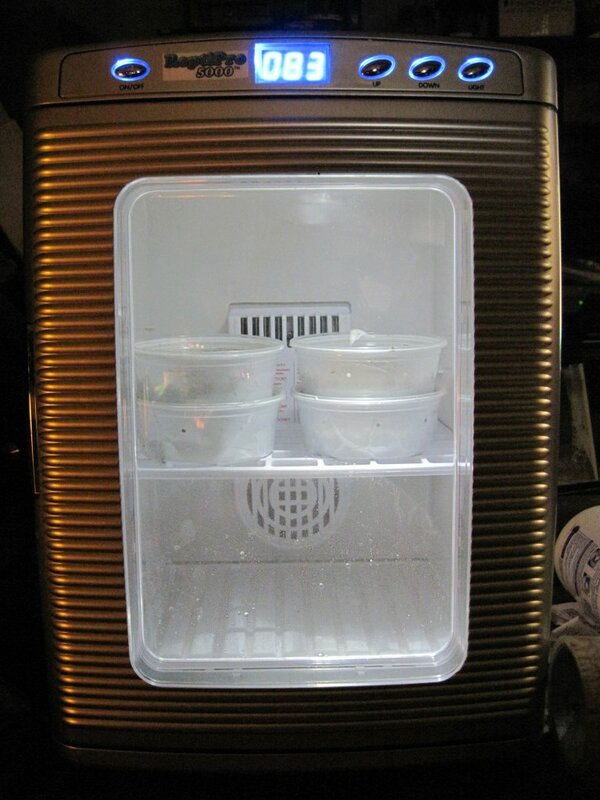 Was so nice to see a baby crawling around in the incubator cups. 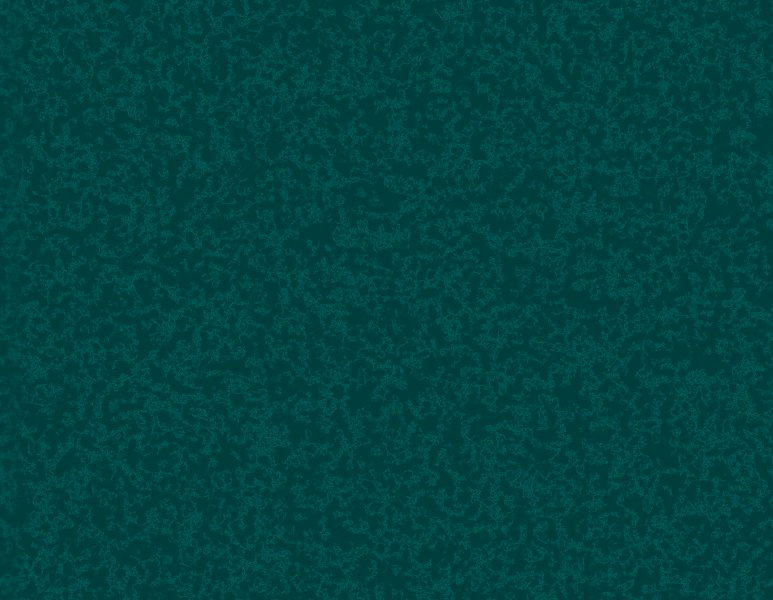 Have a stable setup now. 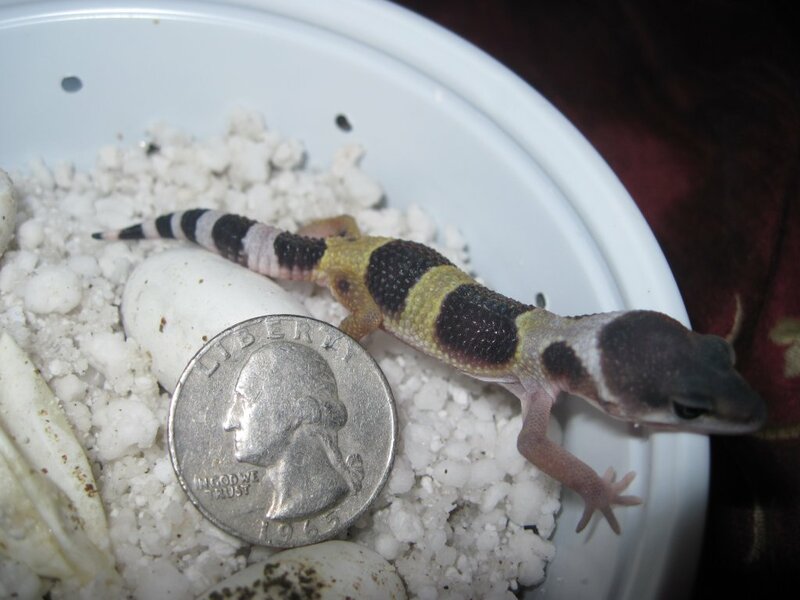 Cant wait till the Tangelo babies hatch and some other morphs. 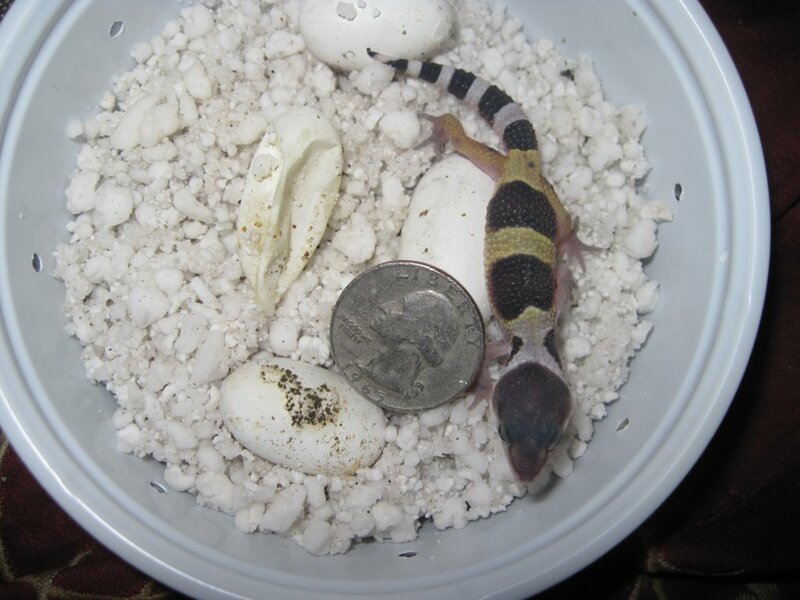 2 more babies have hatched since then. 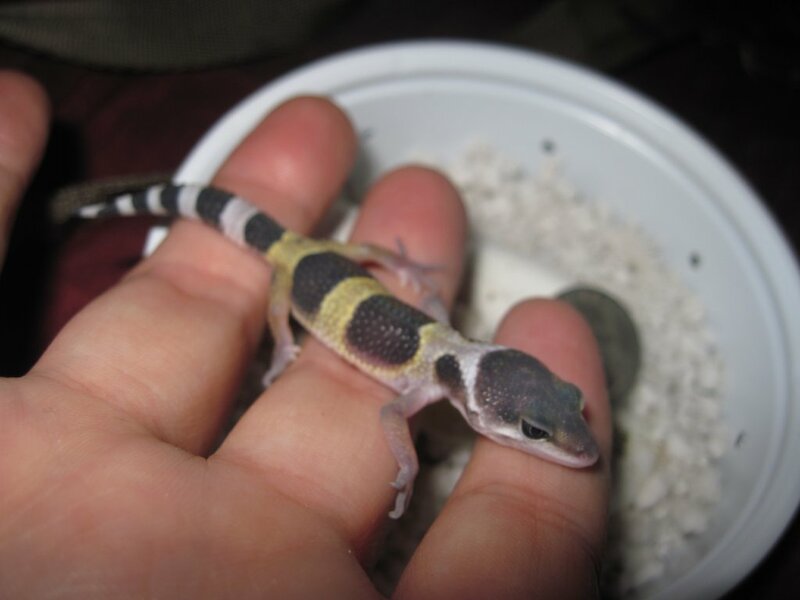 Another Striped Snow and the other is a Mack Snow as far as I can tell. 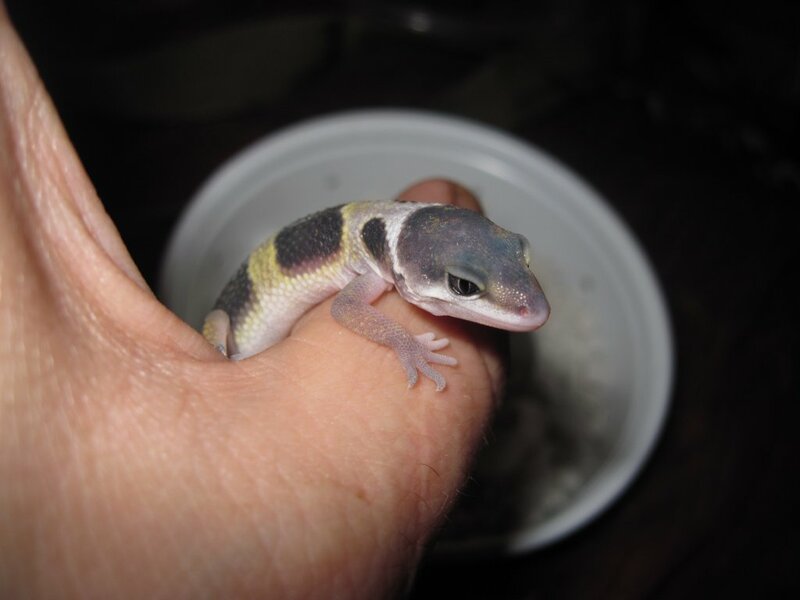 I will post more pics asap. 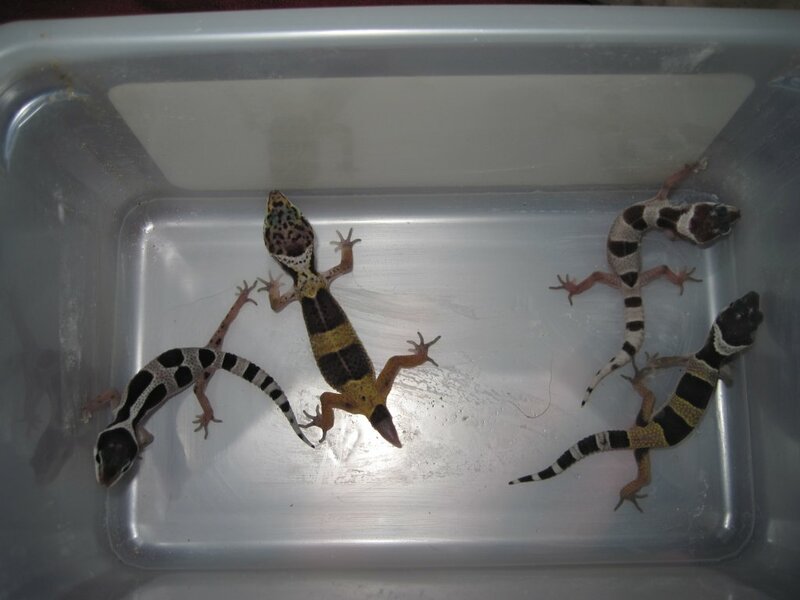 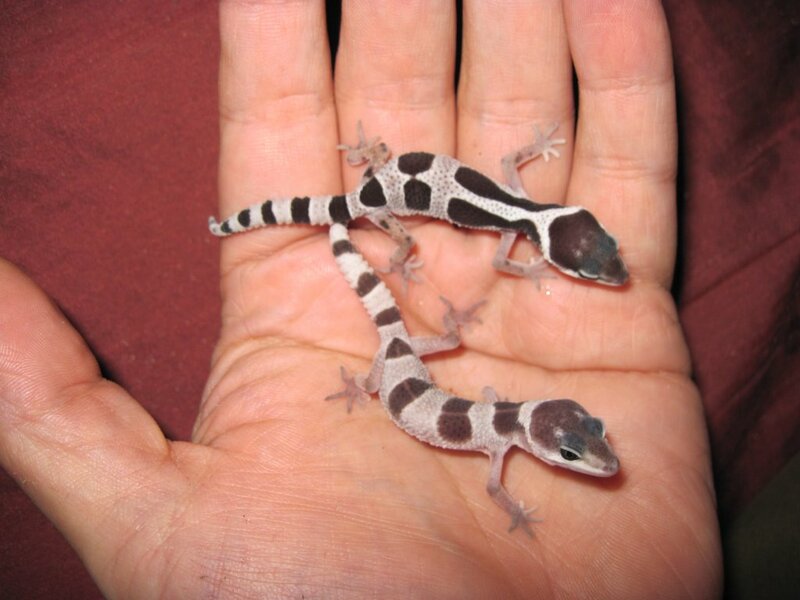 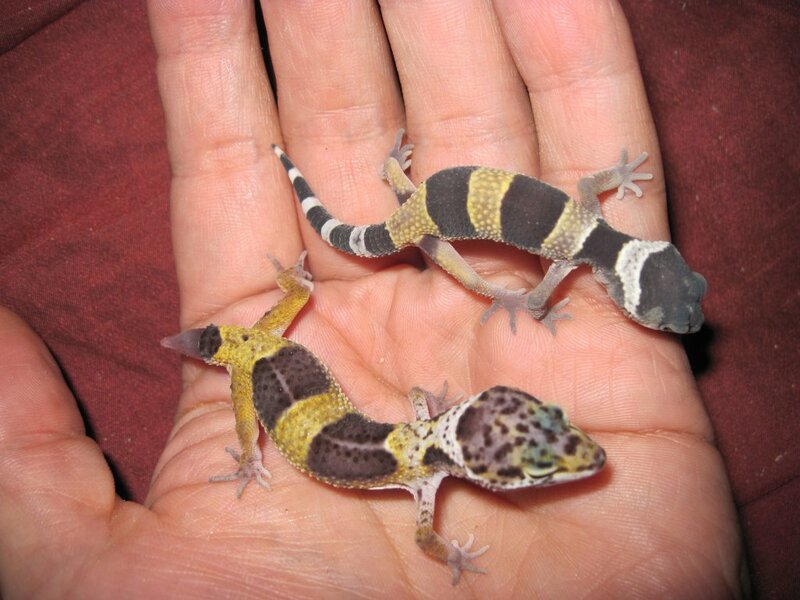 My Gecko hatchlings I just hatched, I will post info asap on these. 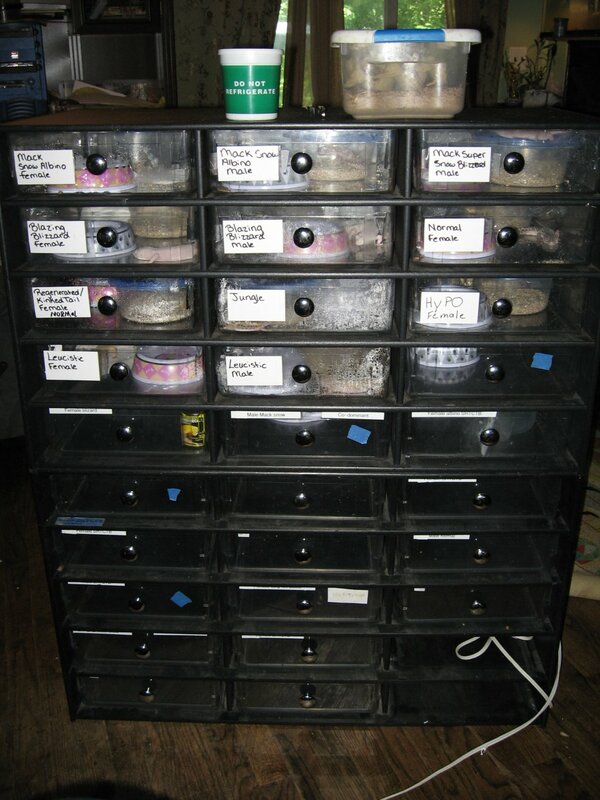 My breeding racks (Made by Boaphile). 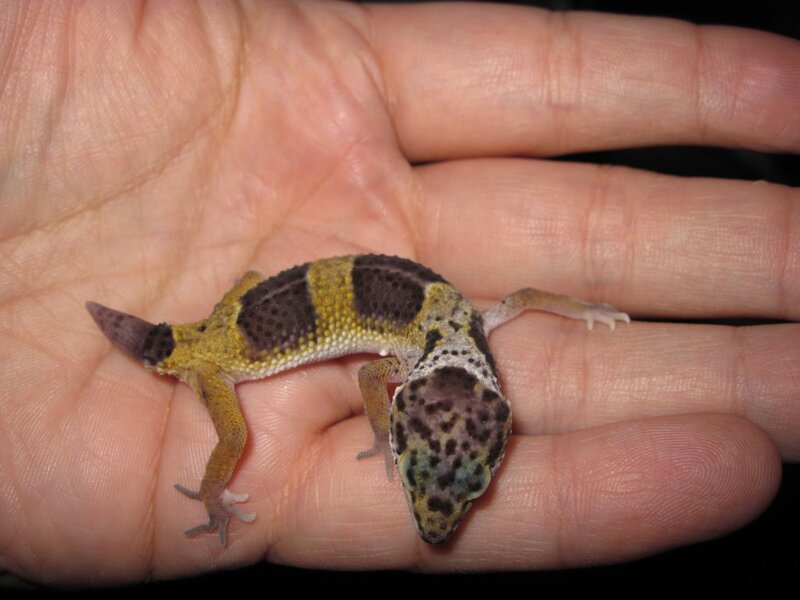 My Reptipro 5000 and one of my Hovabators.